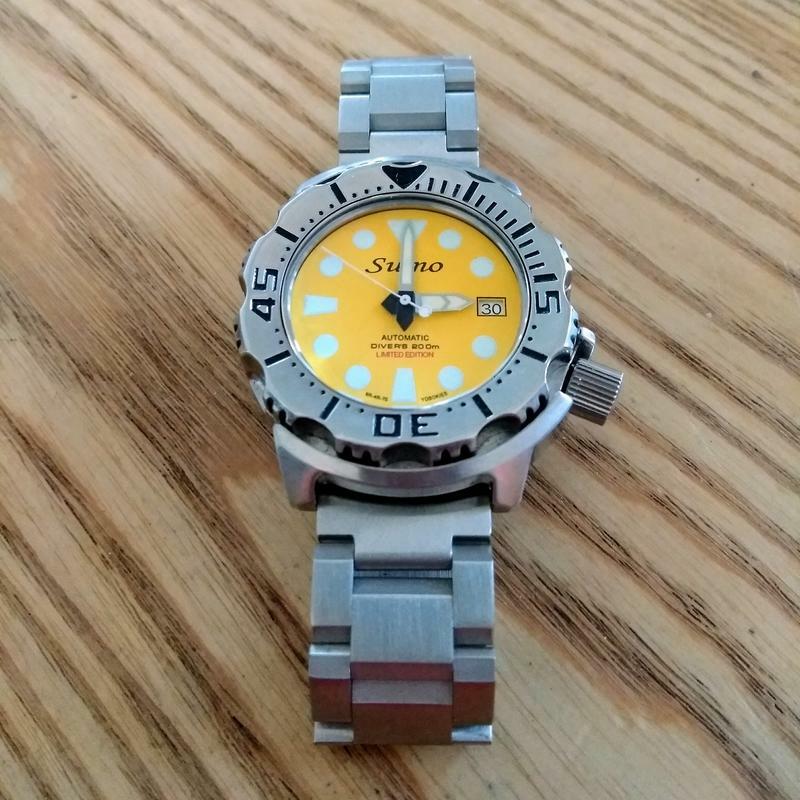 I have that urge to alter the appearance of a couple of watches again , unfortunately I am unable to do the changes now as I have 5 grandkids running riot around the house and garden. Hopefully later today I will have peace and quiet in the house and will crack on with the alterations . Photos to follow. 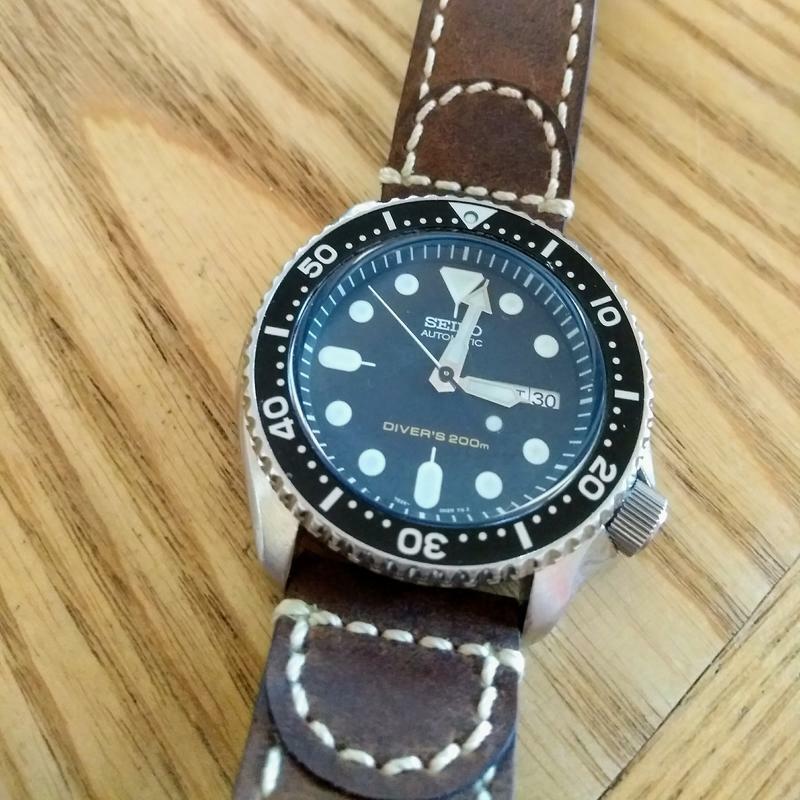 @SeikoJohn wrote: I have that urge to alter the appearance of a couple of watches again , unfortunately I am unable to do the changes now as I have 5 grandkids running riot around the house and garden. 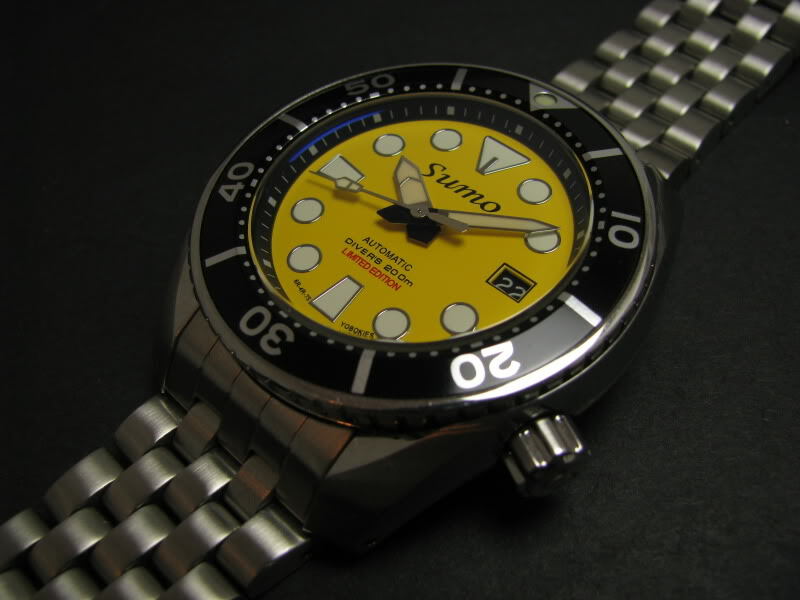 but now what to do with the Yellow Sumo dial ?? 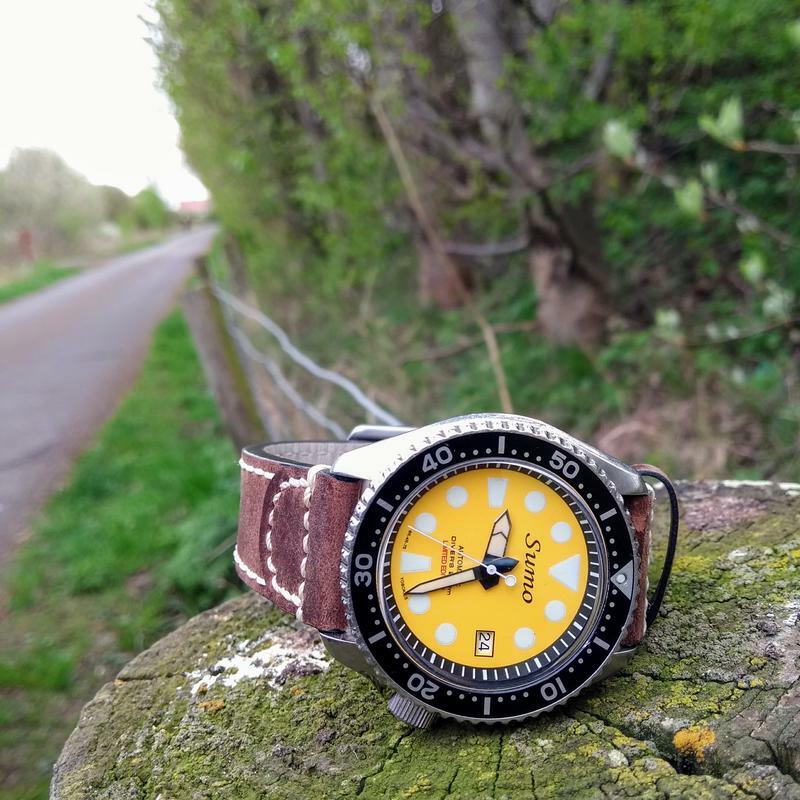 The Sumo Monster is a perfect summer watch with the nice yellow dial . I take my proverbial hat of to you John, for tackling these modifications. I know what would happen if I tried. Both watches look great and that yellow dial works really well in the Monster. 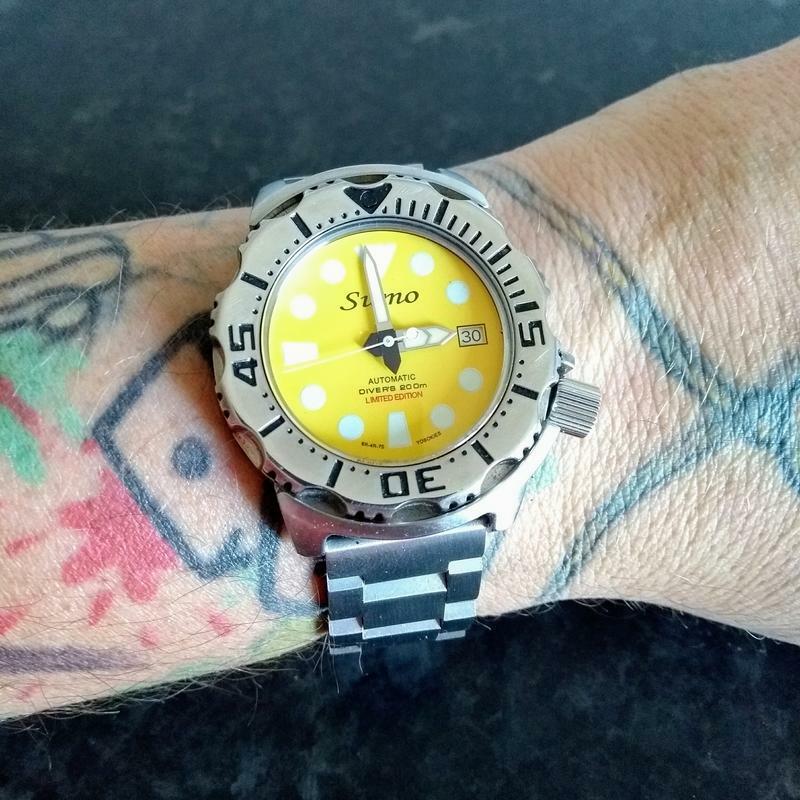 I pondered whether the orange squiggle sweep second hand would have added another splash of colour but think the choices you made were better for that watch. Love the original on the leather, very nice, in real life what does the yellow look like, in some photos it looks lemony and on others it goes a shade darker ? @Robti wrote: Love the original on the leather, very nice, in real life what does the yellow look like, in some photos it looks lemony and on others it goes a shade darker ? 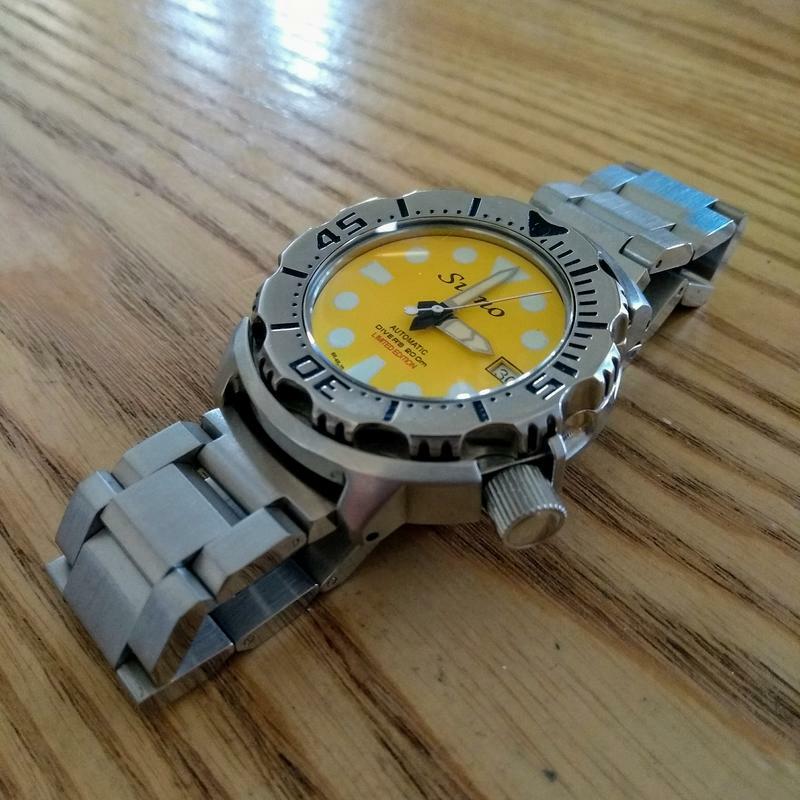 The dial can be a little hard to photograph but to my eye it looks like what I would call canary yellow. I like it too John, very striking looking specially with the green sweep second hand. No doubt if you have any doubts about it, it will be reversed back to yellow. I am always impressed by these mods specially with the knowledge and confidence needed to be able to do them. 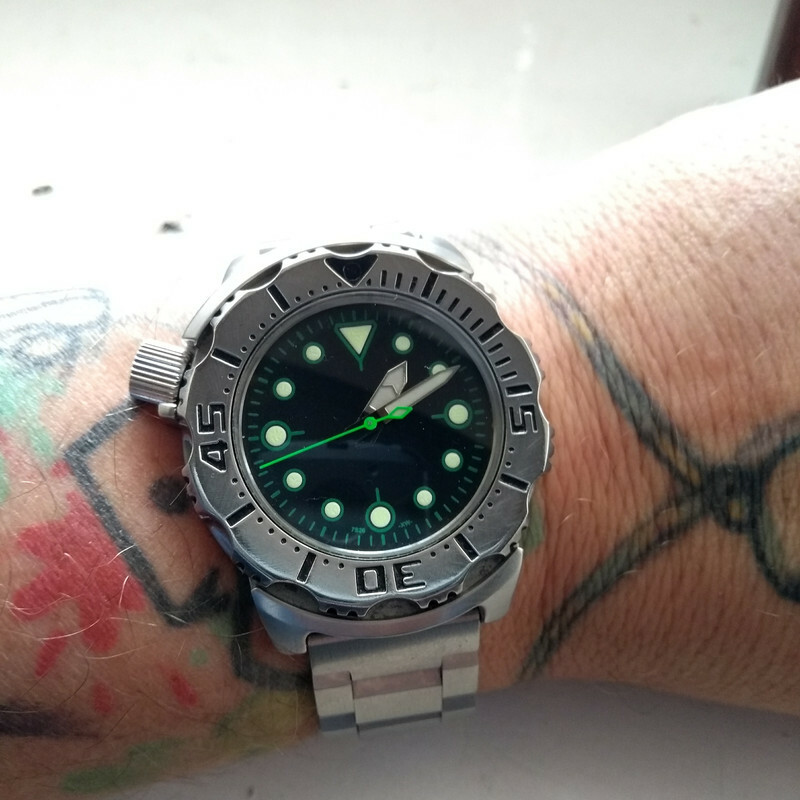 Cheers David , I enjoy modding watches I just wish I had the confidence to progress to the movement , I would really like to learn the skill to be able to swrvice my own watches one day. Well what you are doing now John is impressive to me. It used to be said that if you were wanting to begin working on a movement to start with a pocket watch. There’s the same mainspring, gears, escapement etc etc but all the component parts are much bigger to both see and work with. Still a bit daunting though using a non working movement would help alleviate any worry if it couldn’t be put back together again.